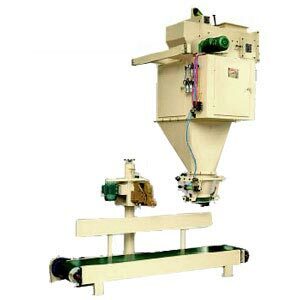 We are one of the prominent Manufacturers, Suppliers and Exporters of Automatic Bagging Machine. Conforming to the parameters of ISO 9001: 2008 certification, Automatic Bagging Machine ensures efficient performance. Automatic Bagging Machine is used to fill the bags with exact weight with auto function. Automatic Bagging Machine has function for control 25 KG to 100 KG bags with auto bagging process along slat conveyor.